I started February 9, 1992. Normally I worked midnight till eight in the morning, and the first year I was there, I was all over the park. It was cool because you’d walk in and it was empty, pretty much just employees. 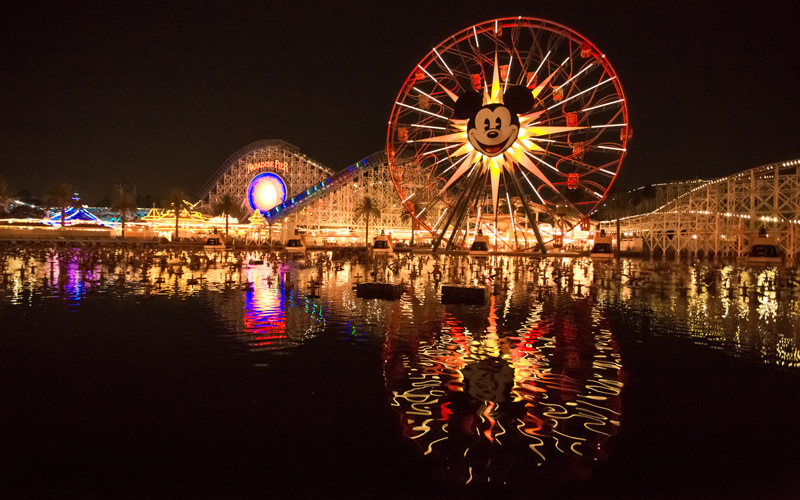 I’d walk through there and think, “Man, this was Disney’s dream, and it’s still going on.” Then you’d do your work and have your lunch at 3:30 in the morning and get everything ready to go and have your last break at 6:30. Eventually a couple guys retired from Space Mountain, and there was an opening. Since it was one of my favorite rides, I was stoked. We’d clean it top to bottom, so it was like nobody had been there. We’d vacuum the whole ride with one of those vacuums you wear on your back. Then the scrub team would come in to scrub the floor, and another person would vacuum it up to dry. We’d squeegee the windows and wipe down the rails and walls. Someone always had to scrape gum. We’d call it Code V when someone threw up. One time, somebody lost their prosthetic leg, and I had to go look for it. Somebody else lost a glass eye, and I found it, broken, on the coaster track. Outside of Space Mountain crews shampooed and vacuumed carpets all night. The electricians checked all the bulbs. The mechanics broke everything down, checked the bearings, and greased them up. The gardeners had a third shift, too. The pest-control guy would find all kinds of critters—ironically Critter Country had the most. We saw raccoons, possums, tons of cats, and more mice than Disneyland would want to admit to. At about one or two, a dive team would go out to the submarine ride to clean everything and make sure it all worked. Then they’d come in, freezing, and sit around with us because we had a coffee pot and tell us what they found out in the water. The hardest part was being up all night, but we’d try to entertain ourselves and have a good attitude. And when you left the park and saw how happy everybody was, it made you feel good that your hard work was appreciated. Previous articlePHOTOS: These Are the People Bringing Public Transportation to L.A.